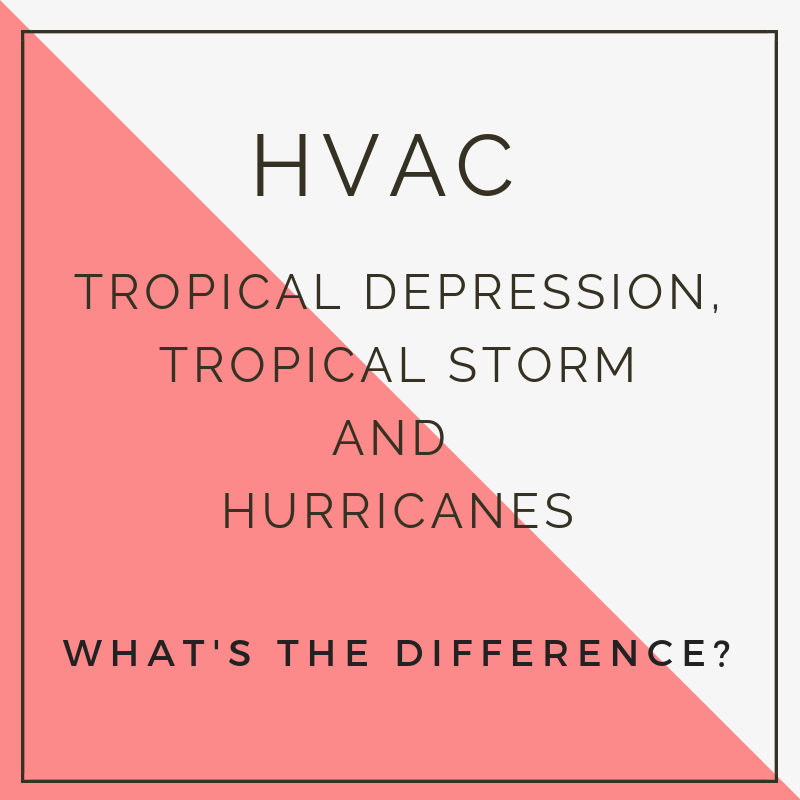 TROPICAL DEPRESSION, TROPICAL STORM AND HURRICANE- WHAT IS THE DIFFERENCE? Do you know the difference between a tropical depression, a tropical storm and a hurricane? As we approach peak hurricane season, we wanted to take the time to describe the differences between these seasonal weather-related terms so you have a better understanding of what to expect should any of these storms move into your area. A tropical depression is when a low-pressure area is adjoined by thunderstorms and produce a spherical or circular wind flow. The wind speed during a tropical depression is below 39 MPH, but typically tends to range anywhere from 25-35 MPH. A tropical depression is upgraded to a tropical storm when the wind speed increases to anywhere between 39-73 MPH. It is at this stage that the cyclonic shape begins to form and when a storm receives a name.